Catherine took Loudhailer Acoustic by storm in May 2015 enchanting the audience with her wickedly witty spoken word set. Her fantastically uplifting stories of growing older gracefully, office politics…and that particular cockerel are inspiring. 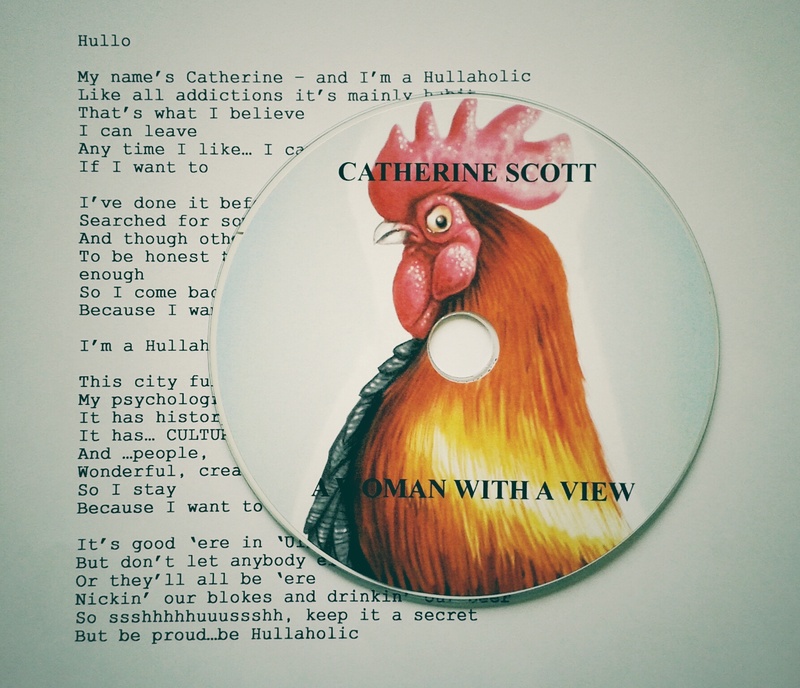 We are delighted that Catherine has written I’m a Hullaholic especially for HullSongs. Sometimes, the best things in life happen by chance. I never expected to be a poet. I never intended to be a poet. 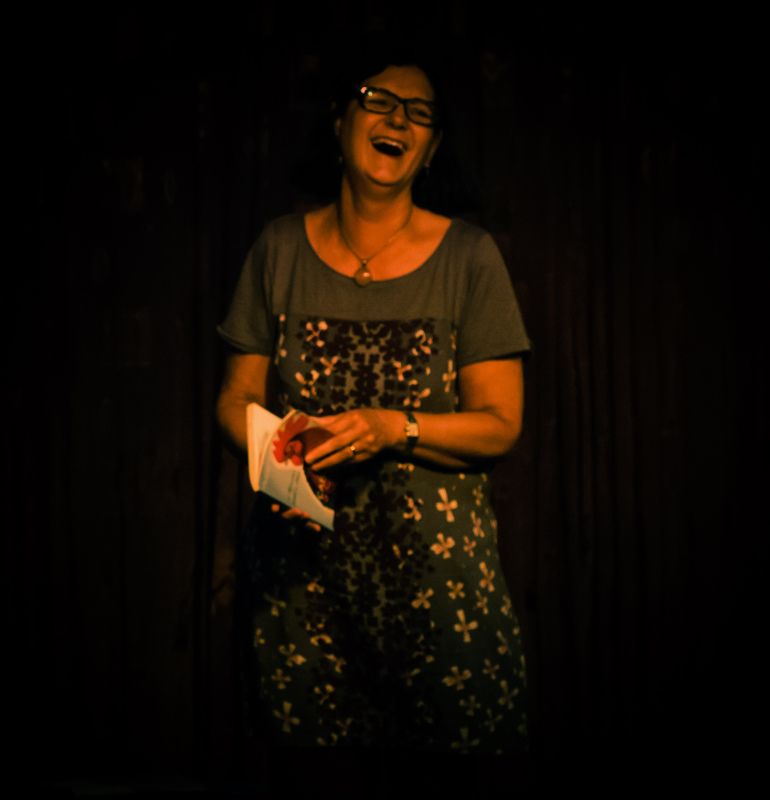 And no-one is more surprised than me to find that here I am, in my 60’s, performing my poetry and loving it. So …how….why? It started when I was attending a ‘page to stage’ play writing course at Hull Truck Theatre. The facilitator brought in the brilliant performance poet Joe Hakim to run a workshop. I went because I’d paid. It was one of those rare occasions in life when something fantastic happens out of the blue. Joe was inspiring. I sweated over the homework to write a poem on ‘What Hull means to me.’ I came up with ‘It’s good innit?’ and ‘Who do they think they are?’ They are the first poems in my book ‘A Woman with a View’ published by Burning Eye Books. Mostly I write about people their experiences, reactions and behaviour and then exaggerate it. I write about people because they fascinate me and have always been what makes me tick. I’ve been described as ‘Hull’s answer to Pam Ayers but darker and more edgy.’ I take that as a compliment and wish I were half as successful.